According to the National Center for Complementary and Alternative Medicine, the 2007 National Health Interview Survey showed that more than 18 million adults and 2 million children received chiropractic care in the previous one year period. 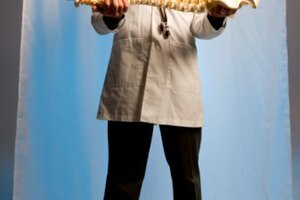 Chiropractors use several techniques to help their patients recover from a variety of ailments which can cause a number of painful symptoms. 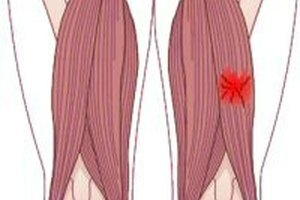 Intersegmental traction is one method of rehabilitation that chiropractors utilize. They use a table, often called a "roller table," to aid them in this. Chiropractors feel that stress can cause intense pain. When people experience stress, their muscles can tighten, causing the spine to compress. The compression of the spine can affect the nerves in the area causing pain in many parts of the body. A roller table can help patients through the use of pressure and heat, to relax by helping the muscles to stretch, relieving pressure on the spinal column, thereby relieving stress. Some chiropractors will lower the lights in the room while the patient is on the table. At times when people experience pain, they adjust the way the walk or the way they sit to alleviate that pain. If the pain is persistent, and the adjusting behavior continues, the muscles and spine can eventually contort, further exacerbating the patient's pain. By using a roller table, muscles and the spine are stretched, so to speak, in unison across the body, potentially helping to restore normal posture. When lying on a roller table, the muscles throughout the neck and back are forced to flex and relax. It can stimulate muscles that, for one reason or another, are not exercised effectively otherwise. Exercising these muscles can lead to a stronger back, which lends to better balance. Chiropractors feel that lightly forcing the vertebrae apart increases the flow of vital nutrients entering spinal discs. This leads to healthier discs and, in turn, a healthier spine. When the spine is at its optimum, a patient will be more likely, and able, to move more freely. So the more a patient is able to move his back, the more he will be able to in the future as he continues to work his back, allowing it to heal. There are times when the vertebrae can become compressed, decreasing the flow of spinal fluids. Fluids are important as they help the discs, which separate the vertebrae, to act as cushions so that those vertebrae are not rubbing one another and pinching nerves. This can be a cyclical problem. To help alleviate the ill effects of this, chiropractors use the roller table to move the vertebrae to and fro, allowing them to separate enough to allow for better circulation.